This stunningly beautiful ballad was a break from the controversy surrounding the Erotica album. It was released worldwide on July 6, 1993 as fifth single. Daniel Abraham remixed the song and the more accessible Radio Remix became the main version on radio and the single releases. Though it got a lot of airplay it only went to #14 in the US. It was a Top-10 hit in Canada (#1), Japan (#2), Australia (#5), UK (#7), Ireland (#7), and Italy (#9). A beautiful song deserves a stunning video, and that's what Rain got. Mark Romanek filmed everything in black & white, then had it coloured manually in blue, a technique used in the early movie industry. The video shows the making of a video by a group of Japanese technicians, led by Ryuichi Sakamoto. 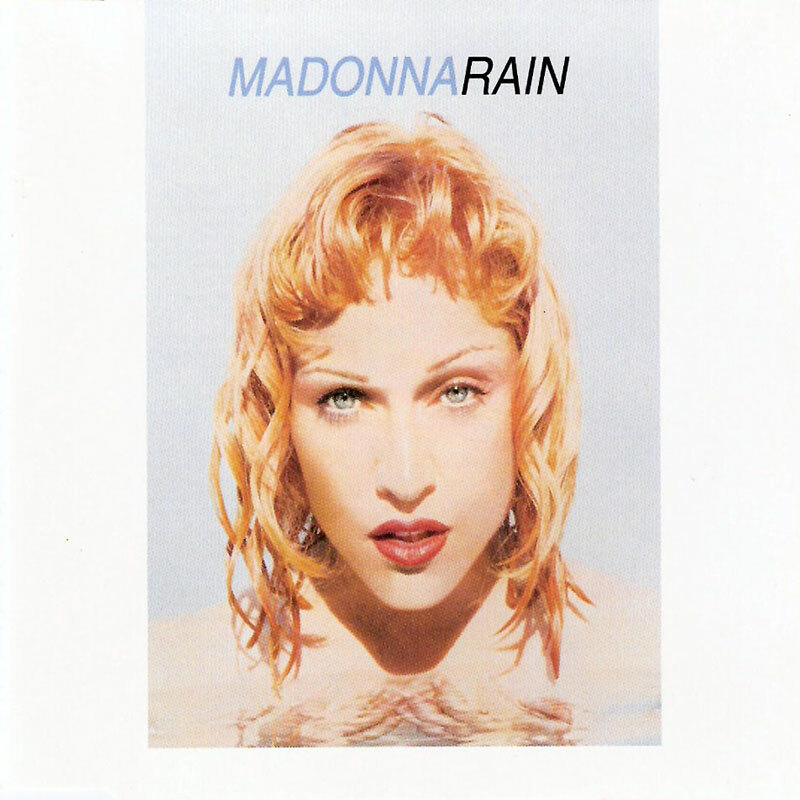 Madonna, wearing a short black wig, walks around on the set and sings Rain, standing next to glass walls that drip with (fake) rain. The video got two well-deserved awards at the 1993 MTV VMA: 'Best Art Direction' and 'Best Cinematography'. Beautiful as it might be, Rain was only performed live on the Girlie Show. But it certainly was a performance that did justice to the song. It's one of the best examples of the perfect harmony between the voices of Madonna, Niki and Donna. The heart-warming performance also included some lines of the Temptations' classic hit 'Just My Imagination (Running Away With Me)'. At the end there's a beautiful instrumental outro (based on the Radio Remix) with the classic song 'Singin' In The Rain', while the dancers do a choreography with umbrellas, inspired by Gene Kelly's legendary rendition in the 1952 musical with the same name, with the Pierrot fancying one of the butterfly 'rain girls'. Rain made a comeback on the Sticky & Sweet Tour as a video interlude between the Old School and Gypsy sections. However, only part of the chorus was used in combination with the Eurythmics hit 'Here Comes The Rain Again' (along with a sample of 'The Wedding Toccata Theme' by German electronic duo Modeselektor). The giant screens portray a CG animation of a fairy witnessing the transformation of a caterpillar to a butterfly in the rain. Meanwhile, the Hamutsun Serve dancers perform a Japanese choreography, adding to the atmosphere.